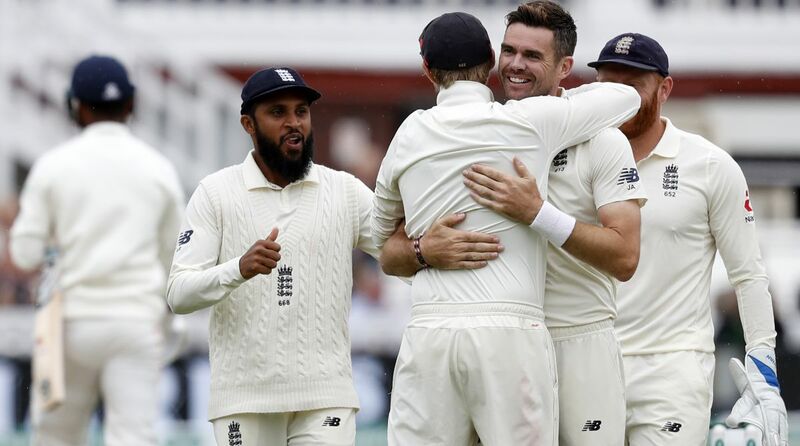 England bowled out India for 130 runs in the second innings to win the second Test by an innings and 159 runs on the fourth day of the play here on Sunday. With the win, England took a 2-0 lead in the five-match series. Having conceded the first-innings lead by 289 runs, India’s batting line-up could notch up only 130 runs in their second innings here to add to their first innings total of 107. Seamers Stuart Broad and James Anderson took four wickets each, while fellow seamer and Man of the Match Chris Woakes picked up two. The fourth day started with England declaring their first innings at 396/7, taking a lead of 289 runs. Woakes (137) remained unbeaten. Resuming the fourth day at 357/6, England added 39 runs to their overnight score with Woakes scoring 137 in 177 balls, which includes 21 boundaries. England lost the lone wicket of Sam Curran (40) on Sunday. Coming to bat in the second innings, India got off to a disastrous start as the visitors were 17/2 at lunch, trailing by 272 runs. After hosts batsmen applied themselves brilliantly, bowlers did a superb job and put pressure on Indian batsmen right from the start. Rahane and Pujara then played sensibly and did not lose their wickets till the end of the first session. The second session saw the same struggle as England pacer Stuart Broad took all the four wickets in the session to push India on the verge of defeat in the second Test, with the tourists reaching 66/6 at tea. Broad’s fiery spell swept aside India’s batting spine, with Ajinkya Rahane (13), Cheteshwar Pujara (17), Virat Kohli (17) and Dinesh Karthik (0) falling to the right-armer, leaving the visitors trailing by 223 runs. The Indian batsmen have struggled throughout the session, being bowled out for a paltry 107 in the first innings. Resuming the second session at 17/2, Rahane was the first to go. The right-hander from Mumbai chased a wide delivery outside the off-stump only to edge it to Keaton Jennings at third slip. Pujara worked really hard, showing many of his attributes, like patience and doggedness until a late inswinging delivery from Broad rattled his stumps. Kohli, who was being troubled by back stiffness, could score only 17 runs. A delivery from Broad rose to kiss his gloves before hitting his hip as Ollie Pope at short leg dived forward to take a sharp catch. Broad then sent back wicketkeeper-batsman Karthik for a duck as he failed to negotiate an inswinger before it hit his pad and the umpire declared him out LBW. Hardik Pandya (1 not out) and Ravichandran Ashwin (0 not out) were at the crease when rain forced an early close of the second session of play. The final session was a mere formality as India had virtualy lost the match. With four more wickets remaining, England bowlers came out all guns blazing and wrapped up the lower order of Kuldeep Yadav, Mohammad Shami and Ishant Sharma with ease.